Can you find all your pixel pals? It's hard to believe, but Super Mario Odyssey has already been around for an entire year. In celebration of its one-year anniversary, Nintendo has inserted a few fun surprises for fans to seek out. 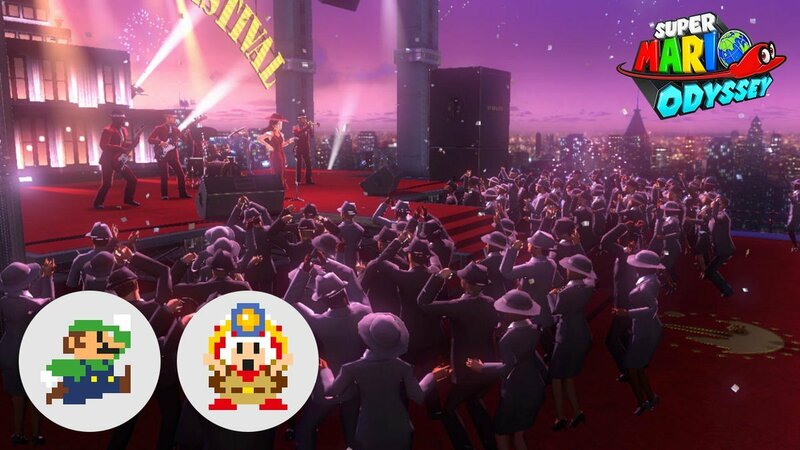 Super Mario Odyssey will now have tons of little Pixel Luigis and Pixel Captain Toads (39 of them, in fact) hidden around the festival area in New Donk City. You just need to search the festival area enough to find them. Each is worth 200 coins, so you can rack up a hefty amount of coins in a short amount of time if you're interested in cashing in. The 7,800 coins you can earn for this small bit of trouble can net you nearly enough for the new Zombie Mario costume or a selection of other in-game items if you choose, so it's certainly worth setting out to find all the pixelated friends. None of them are difficult to find, so ferret them out while you can to reap the rewards. If you haven't yet played Super Mario Odyssey, now's a great time to do so, as you wouldn't want to miss out on the freebies. Plus, celebrating the game's one-year anniversary is a nice gesture, too.